The Reserve Bank of India is expected to cut its key repo rate to a four-year low to help support the domestic economy at a time when consumer inflation is at a record low but may express caution about easing further as price risks still loom when governor Raghuram Rajan announces the fourth bi-monthly monetary policy for the current fiscal on Tuesday. A Reuters poll last week showed 45 of 51 economists expect the RBI to cut the repo rate by 25 basis points to 7 per cent, its lowest since May 2011. The RBI has already eased the policy rate by 75 bps so far this year. But another rate cut may depend on how food prices impact consumer inflation starting in September, given India could be facing its driest year since 2009 as monsoon rains have fallen below their long-term average. A favourable base effect seen in the previous two months is also expected to wane. The RBI is also likely to err on the side of caution as US interest rates are expected to rise by the end of this year for the first time since 2006, potentially putting pressure on emerging market currencies, including the rupee. Raghuram Rajan is expected to express that cautiousness as he looks to manage expectations, and counterbalance the calls for aggressive easing from government officials and corporate executives. “I expect the RBI to cut the repo rate and sound a cautionary tone on the deficient monsoon’s impact on food prices and the Fed,” Soumya Kanti Ghosh, chief economic adviser at State Bank of India, said. Expectations for a rate cut surged the release of data showing consumer inflation at a record low of 3.66 per cent in August. Inflation looks set to undershoot the government’s projection of 6 per cent inflation by January 2016. The economy expanded at a slower-than-expected annualised rate of 7 per cent in the April-June quarter. That is faster than China, but well below the government’s target of 8 to 8.5 per cent for the year ending in March. The stuttering recovery in the growth rate lies behind the calls for the central bank to lower interest rates, but the RBI is worried about the potential for inflation to flare up again. 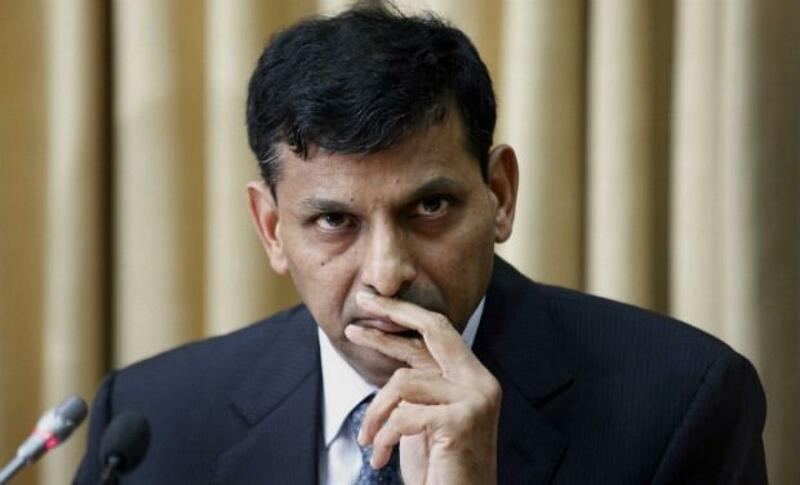 Rajan this month pointed out that without a favourable base effect, August inflation would have been around “mid five percent.” Looking ahead, analysts expect Rajan set a new target to bring consumer inflation down to 5 per cent by January 2017, as part of his longer-term objective to keep inflation at around 4 per cent.